Islay single malt Ardbeg is asking fans to pour a dram and give three cheers for Mickey Heads, who is celebrating a decade as distillery manager. 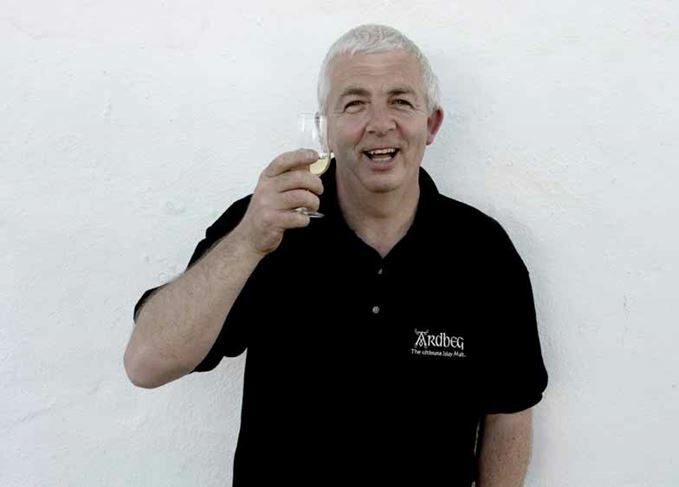 Born on Islay, Heads was appointed distillery manager in 2007, 10 years after Ardbeg was acquired by the Glenmorangie Company and re-opened following a year of closure – the second silent period for the distillery, which had previously beem mothballed from 1981 to 1989. To commemorate Heads’ 10 years with the distillery, Ardbeg fans are encouraged to share a nose, taste and toast of an Ardbeg whisky of their choice – Ardbeg 10 Year Old, Ardbeg Uigeadail or Ardbeg Corryvreckan – on social media using the hashtag #3cheers. Those who take part will be included in a ‘special anniversary surprise’ for Heads, which will be revealed at a later date. Heads, who is also chairman of Ardbeg’s 120,000-strong fan club, the Committee, said: ‘I’ve loved every minute of my years at Ardbeg. The distillery has grown stronger and stronger in the past decade, and today its untamed spirit is enjoyed by Ardbeggians around the globe.